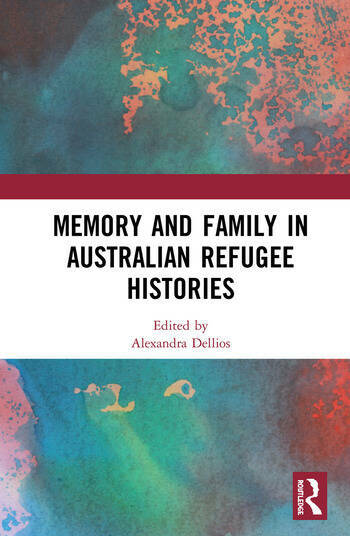 This book revisits Australian histories of refugee arrivals and settlement – with a particular focus on family and family life. It brings together new empirical research, and methodologies in memory and oral history, to offer multilayered histories of people seeking refuge in the 20th century. Engaging with histories of refugees and ‘family’, and how these histories intersect with aspects of memory studies — including oral history, public storytelling, family history, and museum exhibitions and objects — the book moves away from a focus on individual adults and towards multilayered and rich histories of groups with a variety of intersectional affiliations. The contributions consider the conflicting layers of meaning built up around racialised and de-racialised refugee groups throughout the 20th century, and their relationship to structural inequalities, their shifting socio-economic positions, and the changing racial and religious categories of inclusion and exclusion employed by dominant institutions. As the contributors to this book suggest, ‘family’ functions as a means to revisit or research histories of mobility and refuge. This focus on ‘family’ illuminates intimate aspects of a history and the emotions it contains and enables – complicating the passive victim stereotype often applied to refugees. As interest in refugee ‘integration’ continues to rise as a result of increasingly vociferous identity politics and rising right-wing rhetoric, this book offers readers new insights into the intersections between family and memory, and the potential avenues this might open up for considering refugee studies in a more intimate way. This book was originally published as a special issue of Immigrants & Minorities. 5. ‘All Those Stories, All Those Stories’: How Do Bosnian Former Child Refugees Maintain Connections to Bosnia and Community Groups in Australia? Alexandra Dellios is a historian at the Centre for Heritage and Museum Studies at the Australian National University.